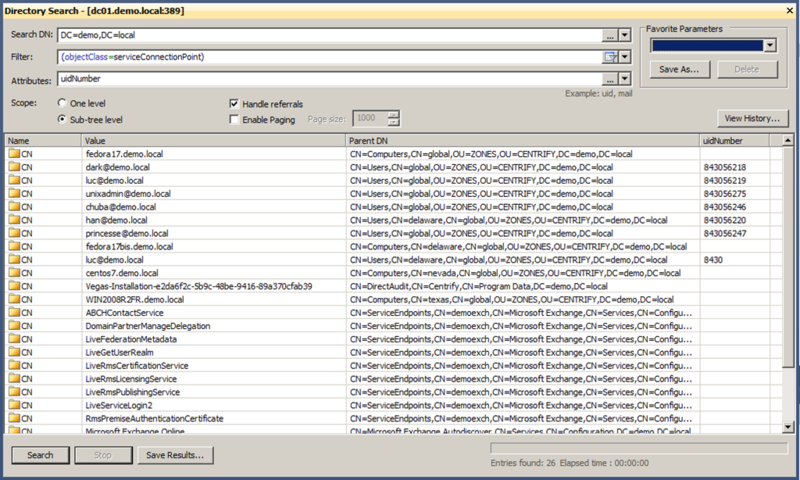 I received a lot, I mean a lot, of requests after I had published my 3 last posts about the storage of NIS maps in Active Directory [http://bit.ly/1S4gKUG – http://bit.ly/1qvvyzr – http://bit.ly/1q8iAHi ] – The main problem was my posts are in French 😉 and a lot of people tried to use Google Translate to get it, but it wasn’t perfect. So, from the popular demand, I decided to translate it in English. 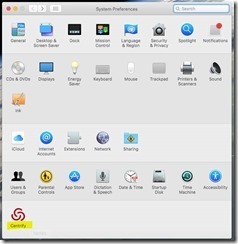 English is not my native language, so sorry in advance if you will find some ‘bugs’ in the text. As I explained in one of my last post (sorry again in French ! 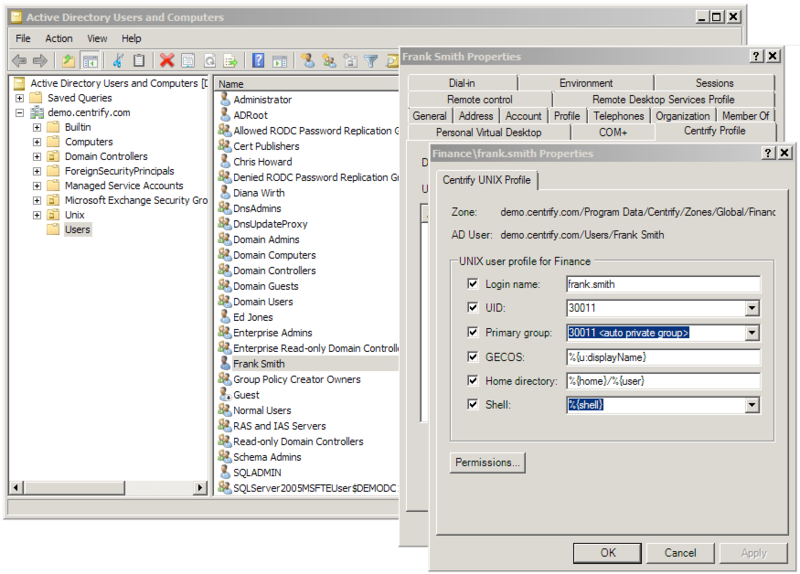 ), Microsoft announced it will not implement some Unix Services in Windows 2016 and Active Directory 2016 anymore, including NIS Services. 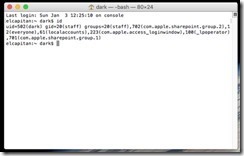 So, the goal is to use Kerberos/LDAP for authentication/authorization services and a NIS Gateway service which expose to NIS client the maps NIS which are stored in Active Directory. 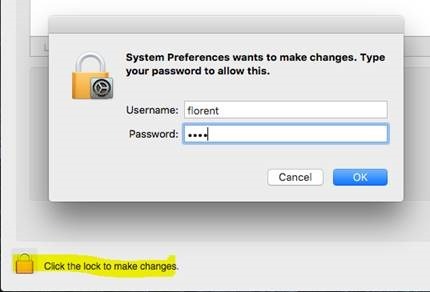 Using this way, we get the best of the two worlds, we can secure the authentication with Kerberos and the organization is able to continue to use the NIS maps for the legacy needs. 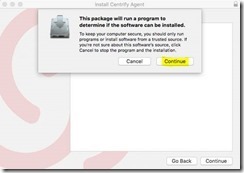 In this tutorial, we will use the NIS Gateway provided by Centrify and get a magic trick to improve security without abandon the NIS history. 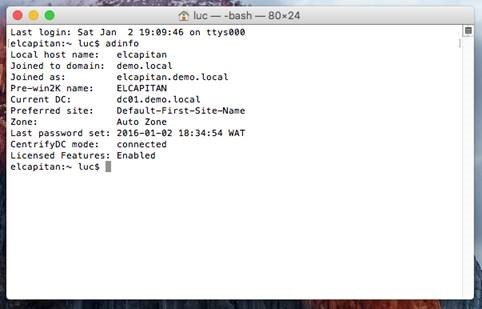 Inn this tutorial, we will use a Fedora 23 workstation as a NIS Gateway and Fedora 23 as a NIS client, in my example the Active Directory is a Windows 2012R2 one, but it will work with various flavors of Linux/Unix and with different versions of Active Directory. 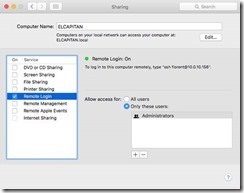 First, we need to set our NIS Gateway with a hostname and with a IP which permit to the NIS Gateway to communicate with the Active Directory world. 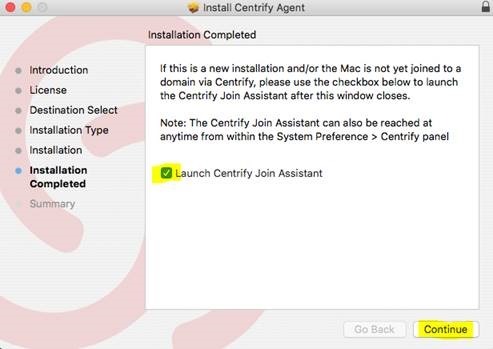 Here, we consider that the basic settings regarding the Centrify Zones are already done (just refer to the Centrify Quick Start Guide to do it). 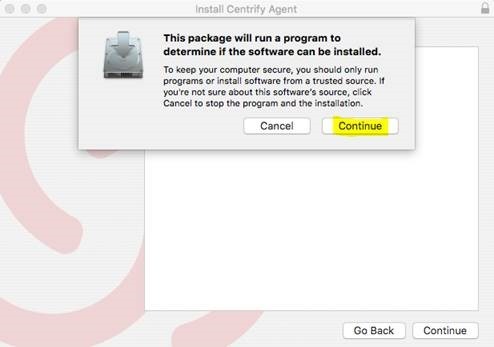 We will check that the SSH server service is present on the Linux box, we will need it to transfer the packages for the Centrify agent and the packages for the Centrify NIS Gateway on the NIS Server. 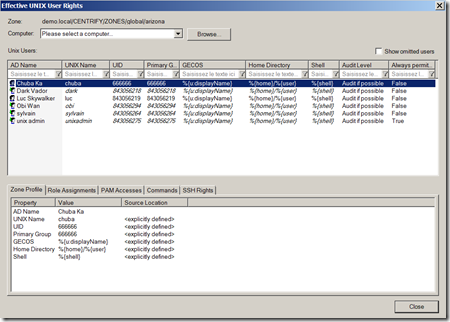 Go the the /tmp directory and check you have the agent package. 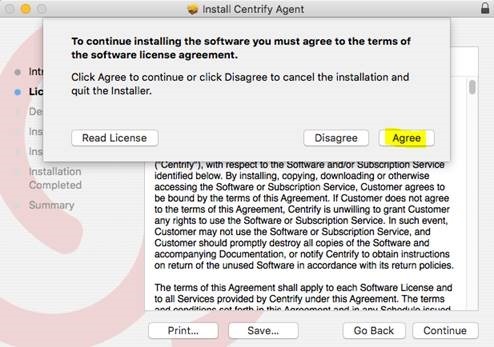 As soon the information will be provided, the install process will start, but just before the installation process will ask you to verify your different values. 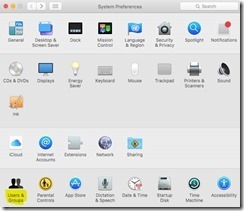 At the end, just reboot the system, again this is not 100% mandatory, but let’s do it easier and reboot the system. At this stage the first big step is over. 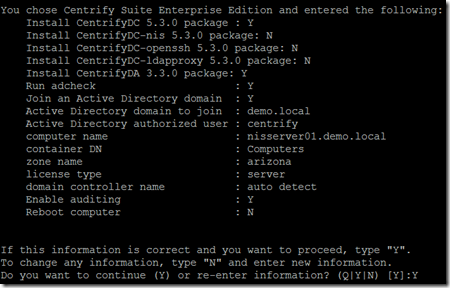 Let’s see now how to set Centrify NIS Gateway. We will integrate the NIS Server in the zone named arizona. 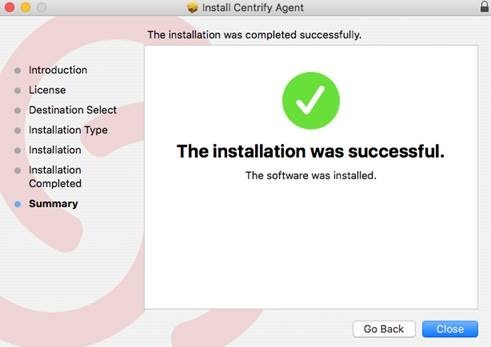 We consider here that you already performed the basic step of the Centrify installation procedure (refer to the Centrify Quick Start guide for details) and we consider you already created some Centrify zones in Active Directory. 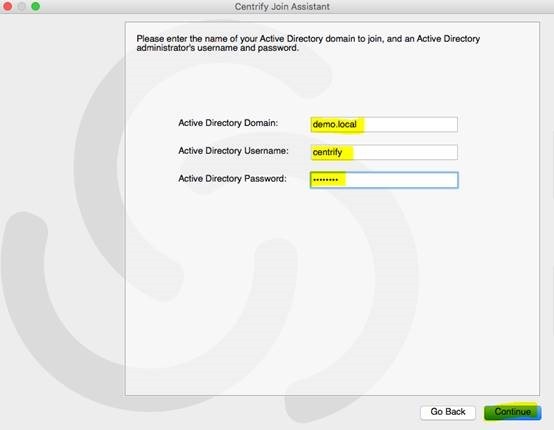 In our example, the domain is named demo.local, the Centrify zone is named arizona and the Active Directory service account used to perform the Active Directory join is named centrify. And the password for the service account is …no, for sure, just kidding ;-)) – but the join process will ask you the password for the Active Directory service account. 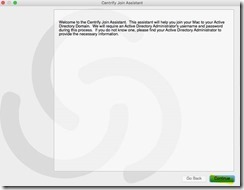 This is another view with the list of the machines in the Centrify zone. 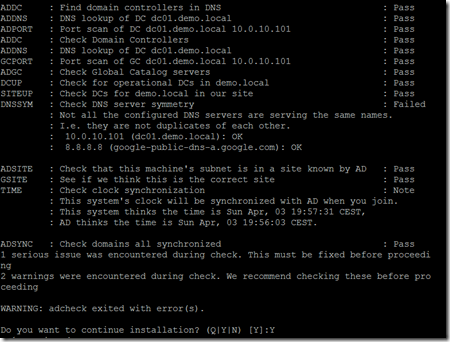 We will use a other machine from this zone to be NIS client (ypbind) of our NIS Gateway. 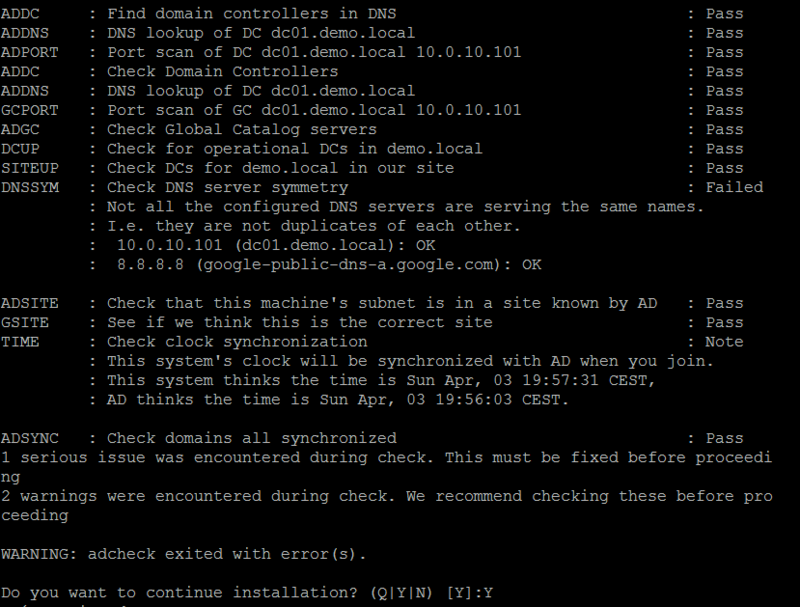 For sure, the NIS Gateway as a NIS server only for the machines which are in the same zone. 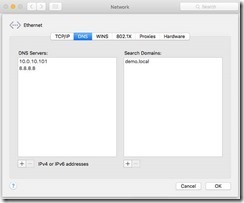 Now, we will start our NIS Gateway computer. 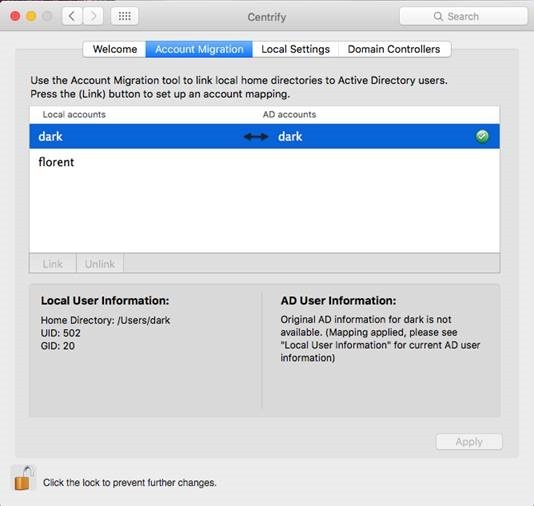 When the computer will be started, it would be possible the use any AD account with a UNIX profile in the Centrify zone to log on it, but we will log as root to make it more convenient for the future manipulations. 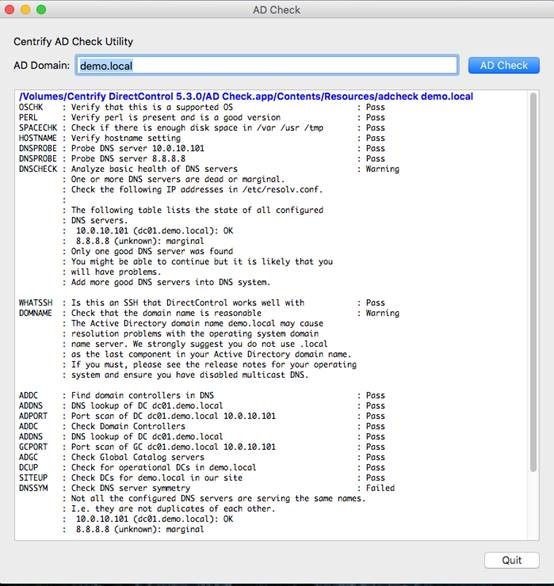 The most important thing is to have the value ‘connected’ for the attribute ‘CentrifyDC mode’, this means the system is truly connected to Active Directory and communicate with it. 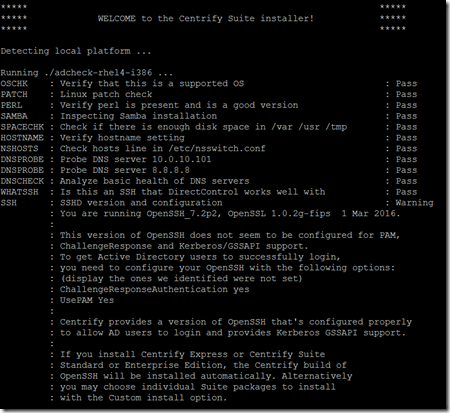 At this stage, our Linux server is integrated in Active Directory and it is totally secured, thanks to Centrify technology. 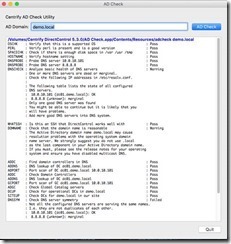 Let’s set some settings to set the correct behavior of Centrify NIS Gateway (adnisd). 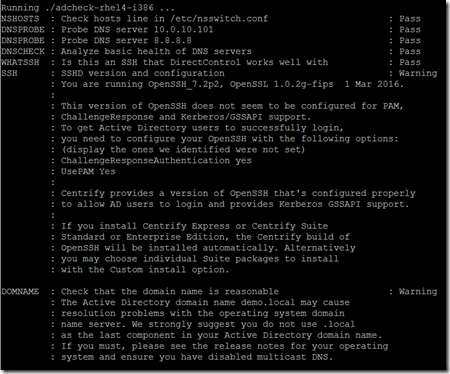 First, we will use the Centrify extension for the GPMC to create some specific GPOs to set the NIS Gateway, nisserver01. Centrify provides some ADMX files if you just want to use the classic GPMC provided by Microsoft, so you can import the administration model in the GPMC. 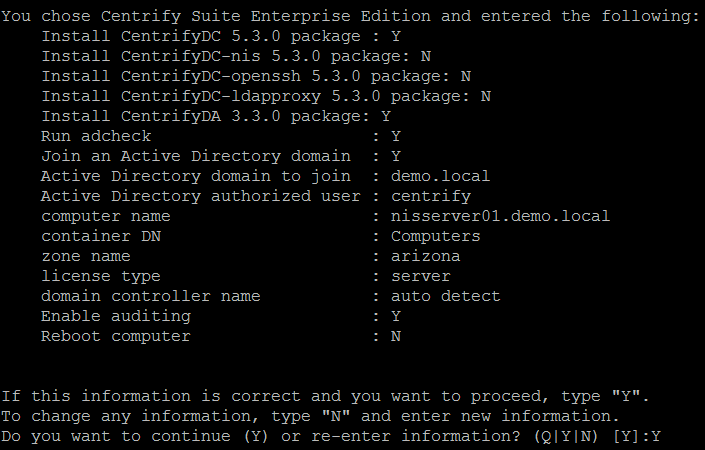 Or you can install some Centrify GPMC snap-in to create the UNIX/Linux GPOS. It is up to you, but you need to do one or the other. 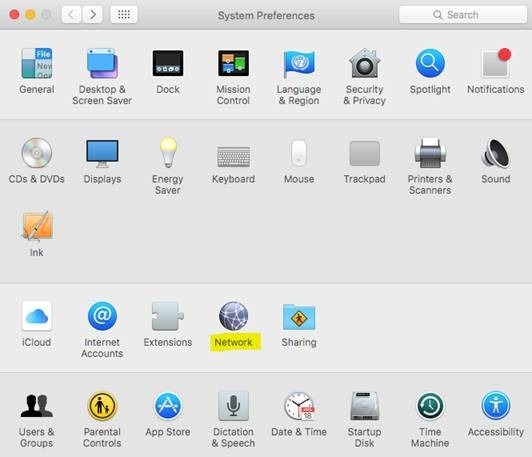 We need to do so, because by default, the NIS Gateway only accept NIS request from itself (I will not go in the details, but in some specific secured configurations where you need to deploy the NIS Gateway packages on all the UNIX systems, this “by default” behavior is useful). 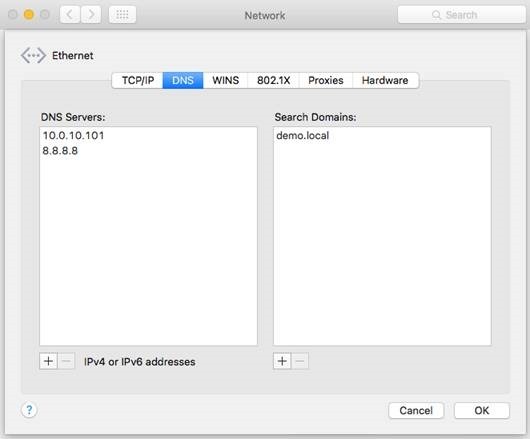 So we need to define the is of the IP addresses which are authorized to request the NIS service, if you set the value to 0/0, the NIS server will accept all the request from all the client. 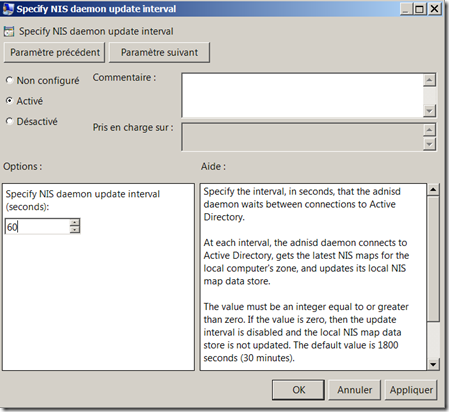 Let’s edit also the ‘Specify NIS daemon update interval‘ property and set the value to 60. 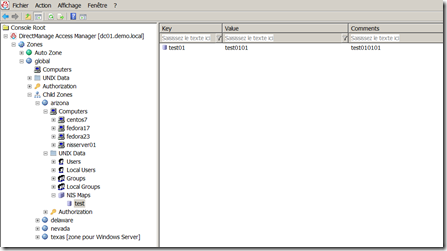 This property will allow us to set the synchronization time between Active Directory and the NIS Gateway. 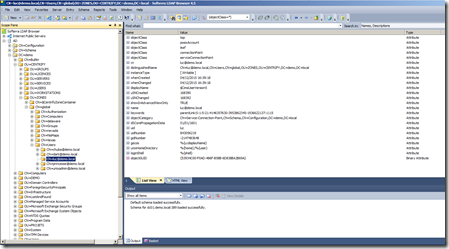 Because of performance reasons, the NIS Gateway maintains a local cache of the values from Active Directory, so in our example, the values will be replicate every minute. 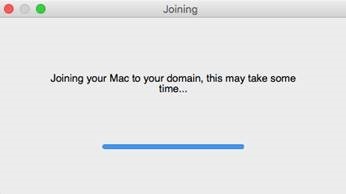 In a production environment, a value between 16 and 30 minutes seems a good choice. 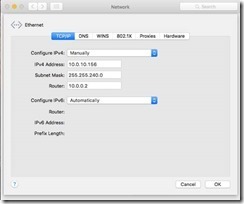 I will not go in the very details, but globally the RPC server service will receive the requests from the NIS/RPC client from the network, so the RPC server service will decide to use a certain port number, using the port mapper, then the communication between the client and the server will use this specific RPC port for the rest of session. 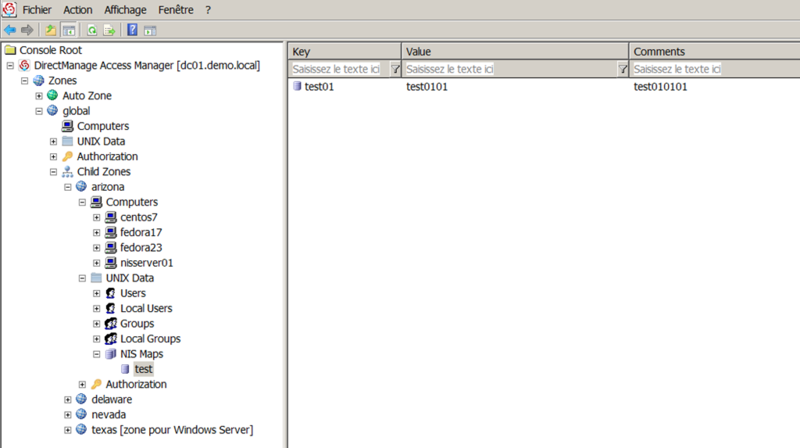 So to have a NIS server running in the right shape we need to have a RPC server running in the right shape. Here we can see we have six port mappers waiting for a RPC connection, so everything is ok. 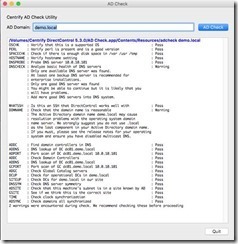 When we execute the command systemctl status adnisd –l to check the status of the service, we have a message saying that we don’t have any NIS map stored in Active Directory, at this stage it is totally normal, we will publish NIS maps in Active Directory latter. 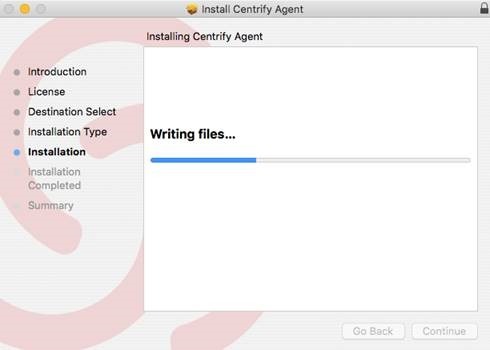 The good thing with this scenario, is we will get all the advantage provided by the Centrify agent but we will be able to use legacy NIS maps. 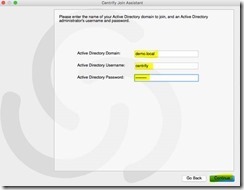 As the NIS gateway server itself is using a Centrify agent, all the communication between the NIS gateway and Active Directory is secured. 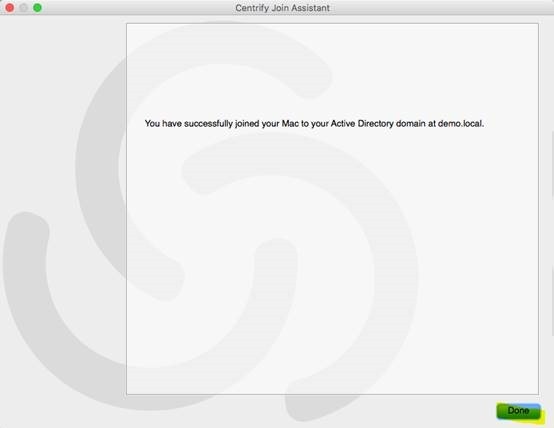 Another big advantage is the fact that we will not have any more a dependency with one single NIS Master – in this scenario, the “NIS master role” is technically provided by the different AD domain controllers, as the AD domain controllers are using multi-master replication, we don’t have any single point of failure there – The NIS gateway will act as a NIS slave and will cache the information from AD on his own system, and we reply to the NIS requests from the network. 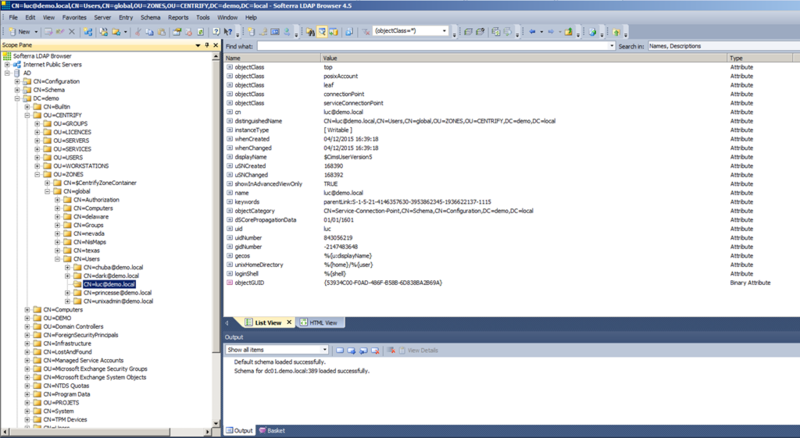 It is existing other scenarios, where the NIS authentication (ok, I don’t like to use the expression “NIS authentication” because NIS is NOT an authentication protocol, but I make the things simple here by comparing with Kerberos…) will be provided by NIS even if the NIS maps are stored in Active Directory – but in this scenario we will need to store in Active Directory a hashed version of the user passwords compatible with NIS, we will not review this particular scenario there because it is not really used anymore and above all because it is not really secured (I will even say it is not secured at all…). 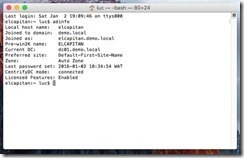 Perform a connection, using root, to the NIS client, in our example, the NIS client hostname is : fedora23. 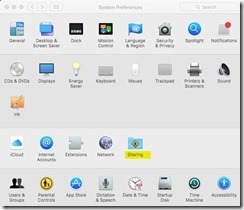 It means the service is not started, and it means the ypbind packages are even not installed at all. 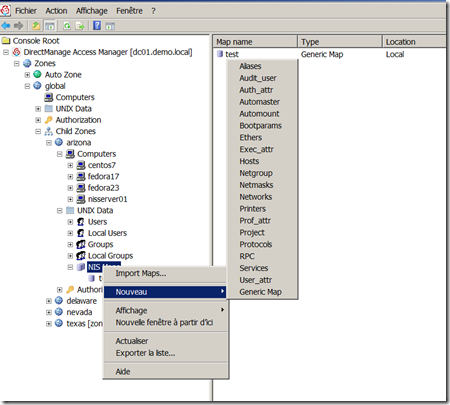 At this stage, we have a NIS server and a NIS client which are able to communicate each other, let’s publish some NIS maps in Active Directory now ! 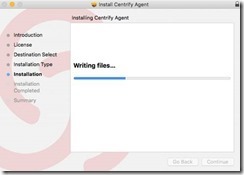 In this tutorial, we will use the Centrify graphical tool “Centrify Access Manager” to publish some information in the NIS maps, but you can do it using different ways (LDP command for example). In our example, we will create a Generic Map, i.e. 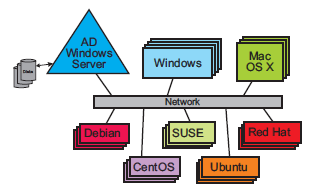 a map used to store text information with no direct relation with something used by the Linux system itself. 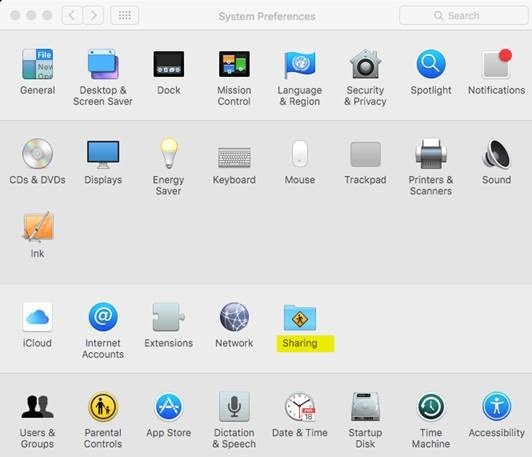 For sure, you create some ‘classic’ NIS maps like Automount or Netgroup, but we will not cover the usage of these NIS maps in this article. 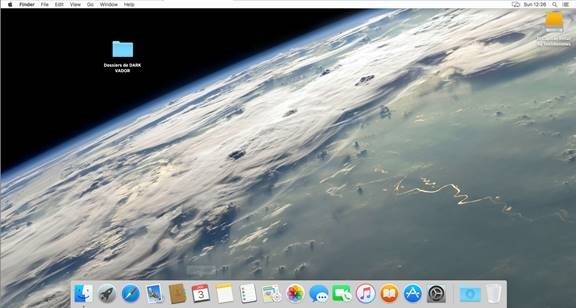 Here we go, it is working fine ! 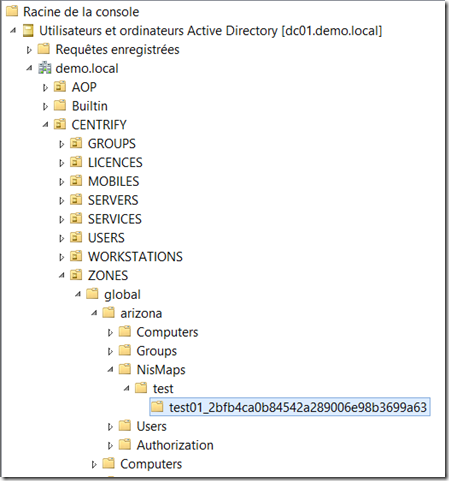 (2) we created only one NIS map (test) in d’Active Directory but the NIS client is able the « see » four other NIS maps : passwd.byuid / passwd.byname / group.byname / group.bygid – These four maps are what we call ‘derived maps’, there are implicited generated from Active Directory data – In fact, at the system level (NIS client side), the NIS client needs to have a visibility of these four maps, so you don’t need to create it, the Centrify NIS gateway will create it and update it for you. 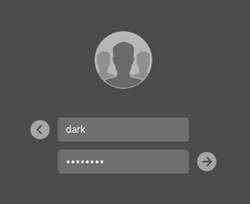 So the passwd.byuid and passwd.byname maps will be automatically generated from the UNIX user profiles from the arizona zone, and the group.byname and group.bygid maps will be automatically generated from the UNIX group profiles from the arizona zone. 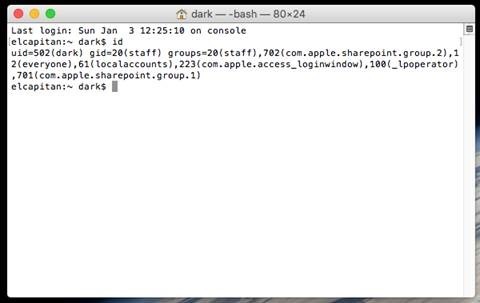 Remember, behind the scene, the UNIX user profiles and the UNIX group profiles are linked with ‘real’ Active Directory user and group objects. 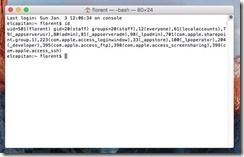 If you are using the command ypwhich –x you will be able to see the correspondence between NIS maps aliases and the real technical name of such NIS maps. 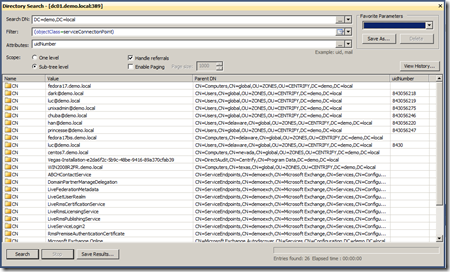 We can check how the NIS maps objects are stored in Active Directory – let’s use Microsoft Active Directory Users and Computers tool (ADUC) or a basic LDAP client to do so. If you go to the zones containers, you will be able to see all the Centrify zones you created (not cover by this article) – select the arizona zone, and the NisMaps container, you will list the NIS map we created, means the test NIS map. 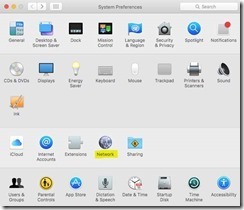 The main difference for the UNIX administrator will be the interface. 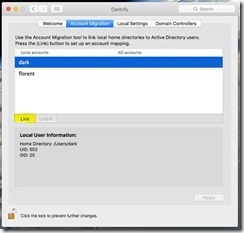 As now the NIS maps are stored in Active Directory, they will use a LDAP Browser, the Centrify graphical tool or some LDAP script to maintain the NIS maps contain. 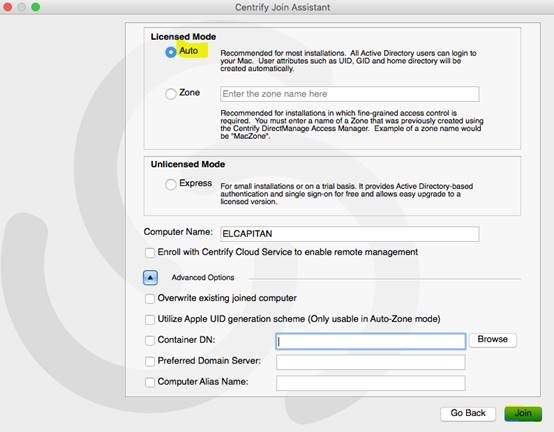 At the end, the ideal situation will be to use a IAM tool such MIM for example to manage the NIS maps lifecycle with delegation, workflow, approval and activity logs ! 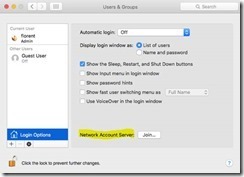 Lors des deux premiers posts, nous avons vu les bases de l’intégration du système supportant la NIS Gateway au sein d’Active Directory puis l’installation et le paramétrage de la NIS Gateway elle-même. 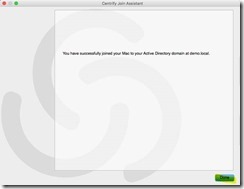 Dans ce dernier article consacré à la Centrify NIS Gateway, nous allons voir la configuration d’un client NIS et quelques options de publication des maps NIS. 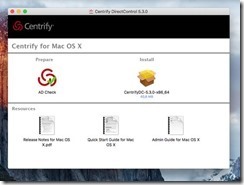 Dans ce scénario, nous conservant tous les avantages de sécurité apportés par l’agent Centrify et nous permettons l’utilisation des NIS Maps de façon classique. 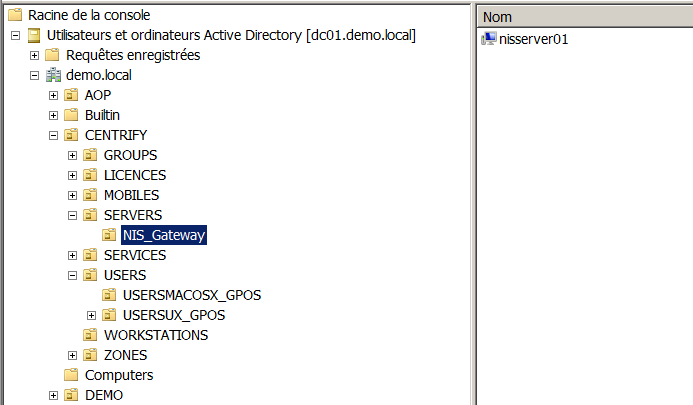 La différence est que les NIS maps sont stockées dans Active Directory. 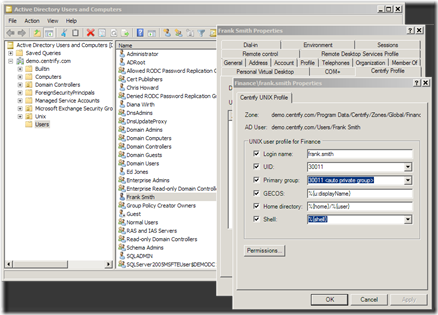 Ceci amène plusieurs avantages dont celui-ci extrêmement important de ne plus dépendre du NIS master unique mais d’avoir en fait le rôle de NIS master porté par les contrôleurs de domaine Active Directory, cela tombe bien, ils sont multi-maitres et la NIS Gateway agit alors en tant que NIS Slave et répond donc aux requêtes des clients NIS. 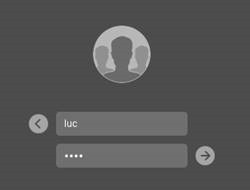 Il existe d’autres scénarios, où l’authentification peut aussi être réalisé via NIS (bon je n’aime pas dire authentification via NIS, car NIS n’est en fait pas un protocole d’authentification, mais c’est pour rendre les choses simples via la comparaison avec Kerberos) avec des maps NIS et des hash de mots de passe compatibles NIS stockés dans Active Directory. 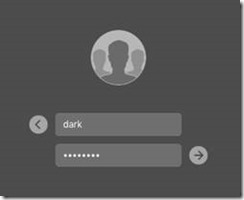 Nous ne parlerons pas ici de ce scénario car il est de moins en moins utilisé par les entreprises et surtout parce que le niveau de sécurité global n’est pas très bon –ok, meilleur qu’avec uniquement NIS, mais c’est pas terrible quand même). 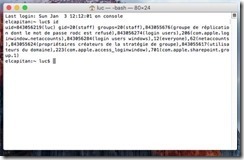 Réaliser une connexion via root sur le système client NIS, dans notre exemple la machine nommée fedora23. c’est que le service n’est pas démarré, et si il n’est pas démarré, il y a de fortes chances pour que ce soit tout simplement parce que les packages ne soient pas installés. 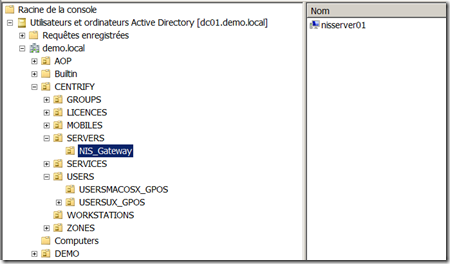 Donc jusque ici, tout va bien, nous avons un service NIS Gateway opérationnel et un client NIS qui est capable d’interroger le service NIS Gateway – reste maintenant à publier des maps NIS dans Active Directory afin de voir si nous sommes capables d’y accéder via la commande ypcat ! Dans notre exemple, nous allons simplement créer une map générique, c’est à dire une map pour stocker des informations texte sans relation directe avec des éléments utilisés par le système. 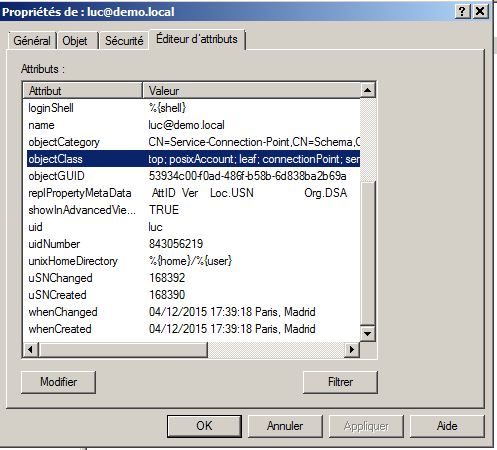 Vous pouvez bien sur créer des maps plus ‘classiques’ telle que Automount ou Netgroup par exemple. Ca y est, ca fonctionne ! 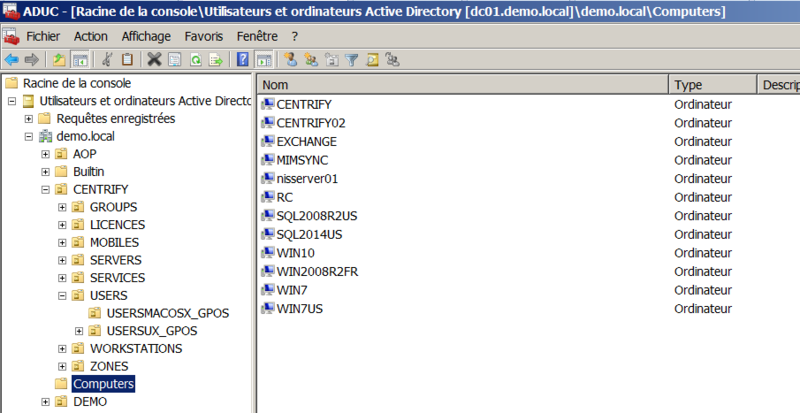 Regardons maintenant à quoi ressemble le stockage des maps NIS dans Active Directory. 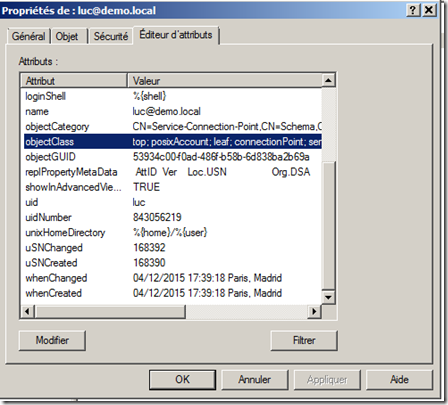 Pour cela, vous pouvez utiliser l’ADUC de Microsoft ou un client LDAP basique. Si nous regardons dans le container des zones, nous retrouvons l’ensemble de nos zones Centrify. Il suffit de sélectionner la zone ‘arizona’, puis le container NisMaps. Nous retrouvons à l’intérieur de ce container la map NIS que nous avons créée, c’est à dire la map nommée ‘test’. 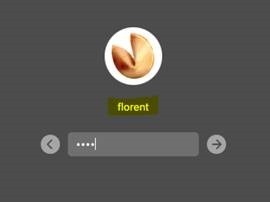 En effet, la différence pour les administrateur Unix sera l’interface qu’ils vont maintenant utiliser pour mettre à jours les entrées dans les maps NIS: ils pourront utiliser l’interface graphique Centrify, un browser LDAP ou des scripts LDAP. 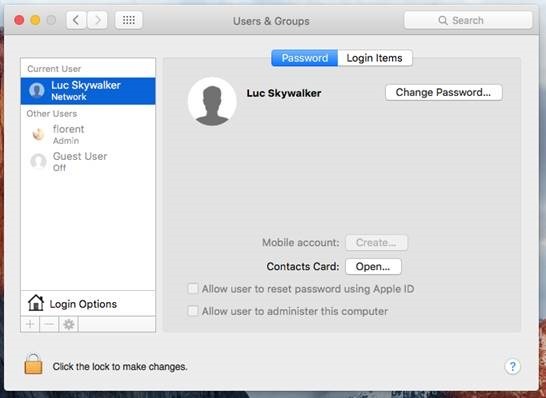 Nous pourrions même imaginer réaliser une interface dans un outil de gestion des identités comme MIM ! Ce tutoriel est terminé. N’hésitez pas à me contacter si vous avez des questions ou des interrogations existentielles sur ce type de solution ! Lors de notre post précédent nous avons vu comment installer l’agent Centrify (adclient) et le package de la Centrify NIS Gateway (adnisd) sur le serveur qui publiera les maps NIS stockées dans Active Directory. 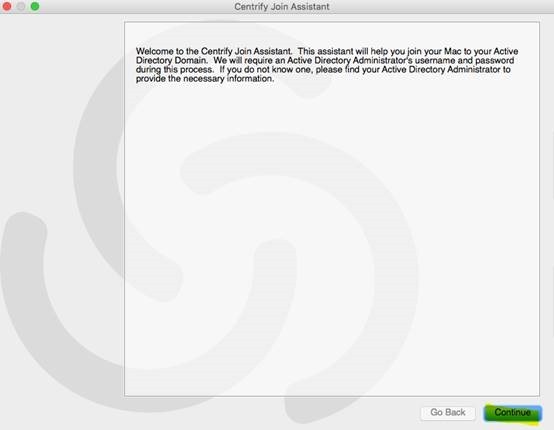 Nous allons maintenant voir comment activer l’agent Centrify sur la NIS Gateway, comment réaliser quelques GPOs depuis Active Directory pour paramétrer la NIS Gateway et finir par des vérifications locales à faire sur la NIS Gateway. 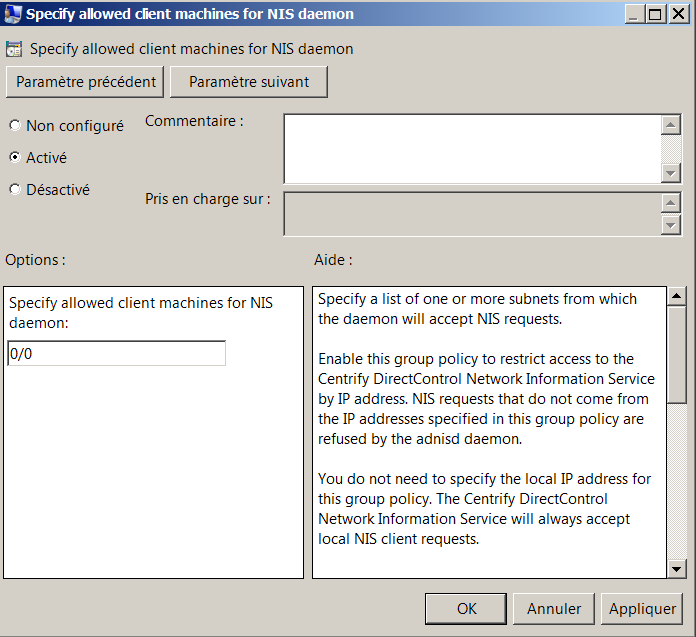 Tout d’abord nous allons intégrer le futur serveur NIS dans Active Directory et le faire rejoindre une zone Centrify. 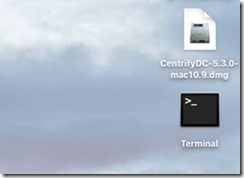 Nous considérerons ici que la partie basique d’une installation Centrify a déjà été réalisée, et que des zones ont été créées. 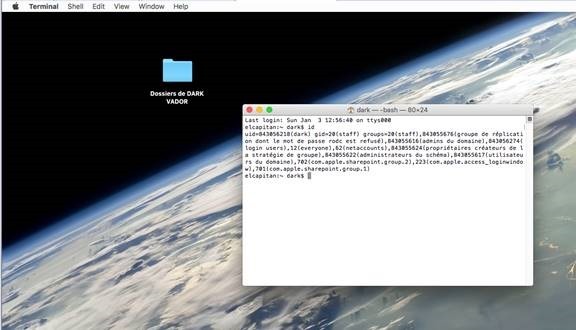 Je vous laisse jeter un œil sur la documentation (notamment le Quick Start Guide) sur ces étapes extrêmement basiques. Dans notre exemple, la zone que nous allons rejoindre se nomme arizona. 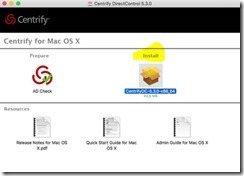 Maintenant, laissons le système Linux de côté quelques instant et utilisons quelques outils de gestion proposés par Centrify pour affiner notre configuration. Nous allons maintenant démarrer notre serveur NIS. 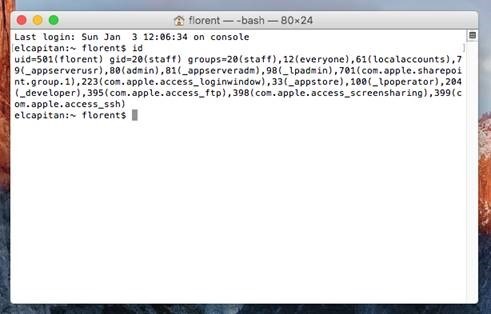 Une fois démarré nous pourrions maintenant utiliser n’importe quel compte AD ayant un profil UNIX dans la zone et ayant les droits de login pour nous authentifier sur le système – pour plus de souplesse, nous continuerons d’utiliser le compte root pour les différentes manipulations. Le plus important est que l’attribut ‘CentrifyDC mode’ est bien la valeur ‘connected’, cela signifie que le système est bien connecté à Active Directory. 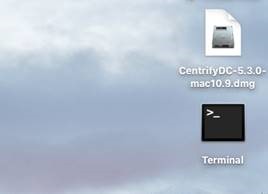 A ce stade nous avons un serveur Linux intégré dans Active Directory, dans une zone Centrify et qui est fonctionnel d’un point de vue système et totalement sécurisé par l’agent Centrify. 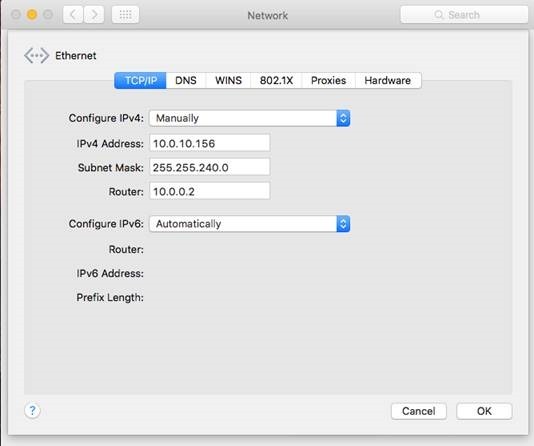 Nous allons maintenant voir certains éléments spécifiques à la partie NIS Gateway (adnisd). 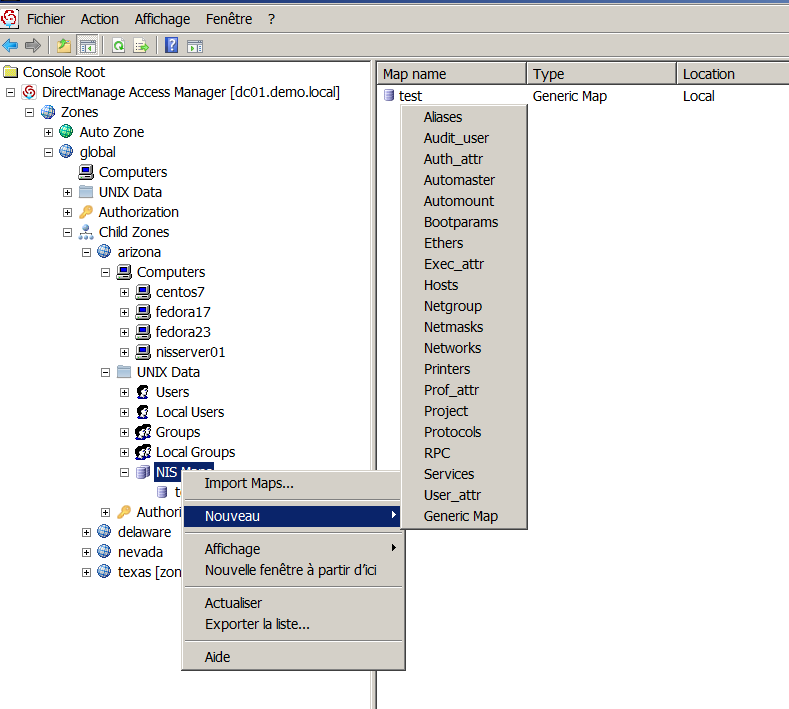 Tout d’abord nous allons utiliser l’outil d’administration Centrify pour créer des GPOs spécifiques aux serveurs NIS qui s’appliqueront à notre serveur nisserver01. 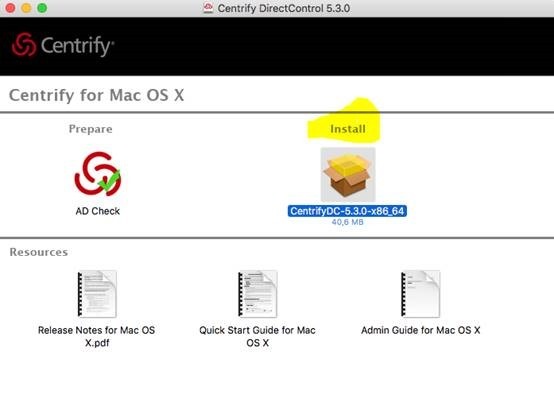 Centrify propose soit d’intégrer directement des fichiers ADMX au niveau de la GPMC soit d’installer un snap-in présentant les GPOs spécifiques aux environnements Unix/Linux et MacOS toujours au niveau de cette même GPMC. Il faut bien sur au préalable avoir fait une de ces deux manipulations. En effet, par défaut, le démon adnisd n’accepte que les requêtes locales, c’est à dire, les requêtes NIS émises depuis le serveur NIS lui-même (je ne rentrerai pas dans les détails, mais cette configuration est utilisée dans des cadres précis de sécurité), il faut donc spécifier les adresses IP qui auront le droit de lancer des requêtes NIS vers notre NIS Gateway, si l’on renseigne la valeur 0/0, toutes les requêtes NIS seront acceptées. 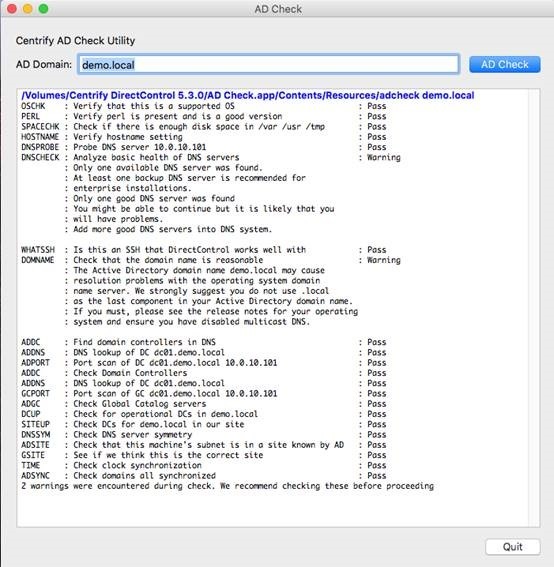 Cette valeur (par défaut sur 30 minutes) permet de spécifier l’intervalle de rafraichissement des données entre Active Directory et le cache local de la NIS Gateway. 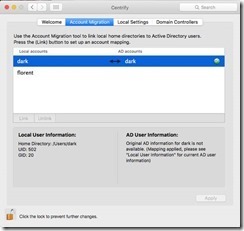 En effet, pour des raisons de performance, les informations des maps NIS stockées dans Active Directory sont mises en cache au niveau de la NIS Gateway (comportement par défaut), nous mettons ici la valeur sur 60 secondes afin de ne pas trop attendre entre les modifications faites dans Active Directory et leur synchronisation sur la NIS Gateway. En production, une valeur entre 15 et 30 minutes est tout à fait acceptable. 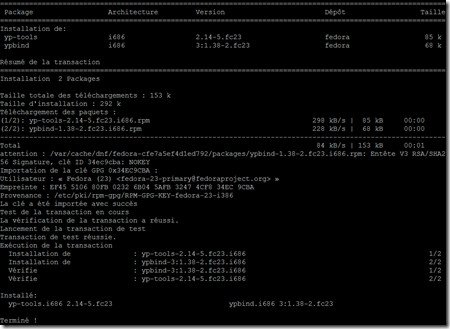 Valider la GPO, et refermer la console de gestion des GPOs Centrify. 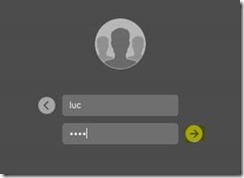 Nous allons maintenant vérifier quelques éléments au niveau de notre serveur NIS Gateway. Nous voyons ici 6 portmapper en attente de demande d’échange RPC, tout va bien. 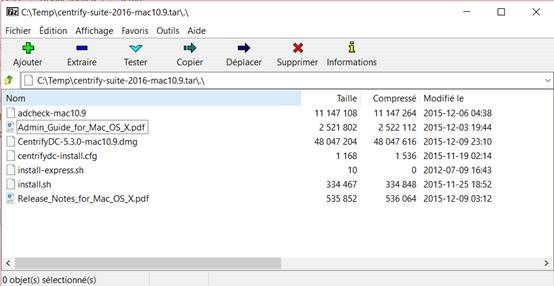 Si jamais le service n’est pas démarré, exécuter la commande systemctl start adnisd –l pour le démarrer. 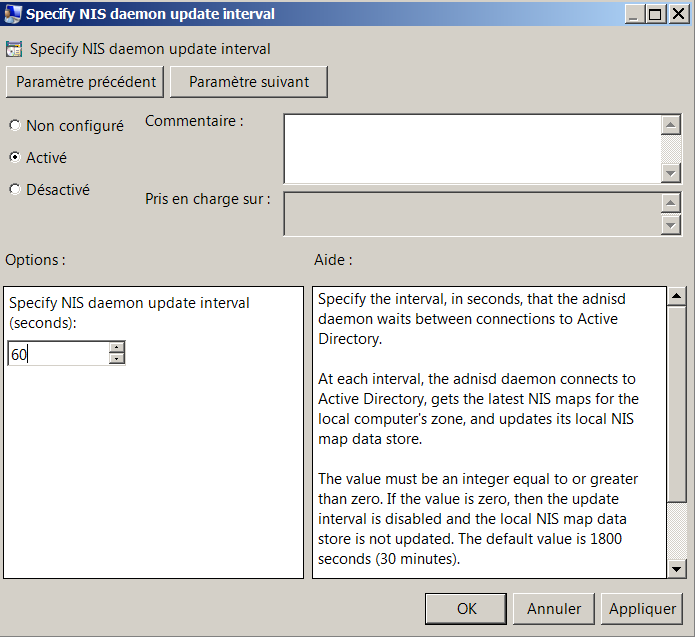 Le résultat de la commande systemctl status adnisd –l nous indique à la fin qu’il n’y aucune NIS map dans Active Directory, à ce stade, c’est tout à fait normal. 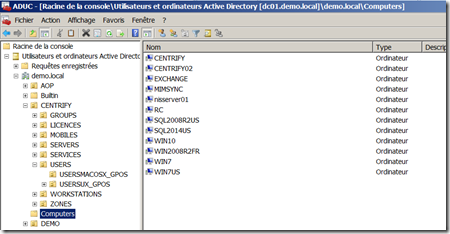 Dans le prochain et dernier article de cette série consacrée à l’utilisation d’Active Directory pour le stockage des maps NIS à destination des clients UNIX ou Linux, nous verrons comment publier quelques maps NIS dans Active Directory, comment paramétrer des clients NIS (ypbind) pour interroger ces même maps NIS et comment réaliser quelques tests supplémentaires. 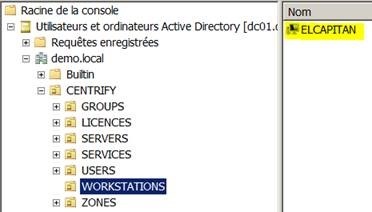 Comme indiqué dans un de mes derniers posts, Microsoft a annoncé la suppression de certains services Unix majeurs au sein de Windows 2016 et donc d’Active Directory 2016. 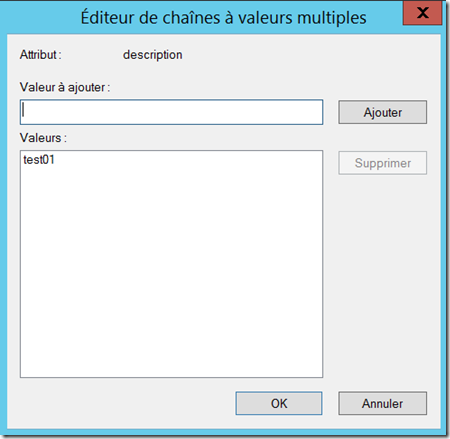 Au travers de mes projets, je rencontre de nombreuses sociétés qui utilisent des environnements mixtes Microsoft/Unix, et il est clair que les services NIS ont la vue dure… Bien sur, il ne faut pas gérer les authentifications et les autorisations via NIS, au profit d’utiliser Kerberos et LDAP. Je ne vais pas rentrer dans les détails ici, mais c’est comme dans Ghosbusters, utiliser les services NIS, c’est “mal”… Néanmoins, pour de nombreuses organisations, l’élimination totale des services NIS est un véritable challenge, car ces même organisations gère depuis des dizaines d’années des informations très importantes pour leur production dans ces fameuses map NIS (automount ou autre). 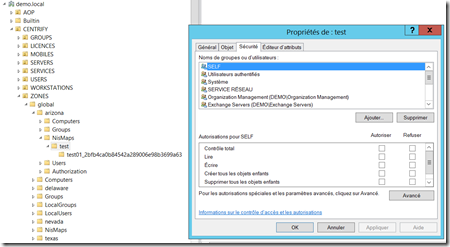 L’idée est donc généralement d’utiliser Kerberos/LDAP pour utiliser les services d’authentification et d’autorisation d’Active Directory et un service NIS “gateway” qui permettra d’accéder à Active Directory de façon sécurisée pour proposer le service NIS server depuis cette gateway. De cette façon, on obtient le meilleur des deux: on sécurise les services d’authentification par Kerberos et on permet à l’organisation de continuer à utiliser NIS pour exposer des maps “legacy”. 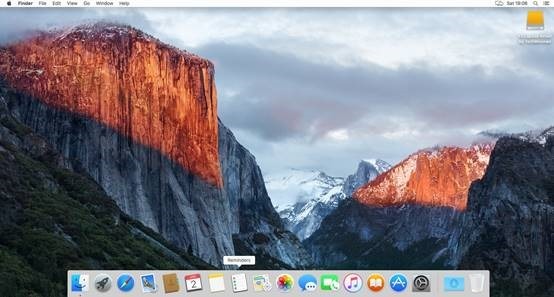 Pour ce, nous allons paramétrer une workstation Fedora 23 en tant que passerelle NIS vers Active Directory. 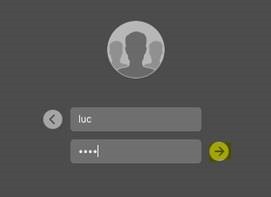 Tout d’abord, il faut bien paramétrer votre Fedora pour vous assurer de lui donner un nom hostname qui corresponde à votre besoin et lui donner un paramétrage IP qui permette à cette passerelle NIS de communiquer avec Active Directory. Nous considérons ici, que les paramétrage basiques d’installation et de paramétrage de Zones Centrify ont déjà été effectués. Nous allons maintenant pouvoir redémarrer le système ! 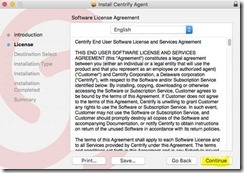 Lors du prochain article, nous verrons ensemble le paramétrage de l’agent Centrify, le paramétrage du service NIS Gateway et nous publierons quelques maps NIS dans Active Directory afin de les rendre accessibles pour des clients NIS Unix/Linux sur notre réseau. 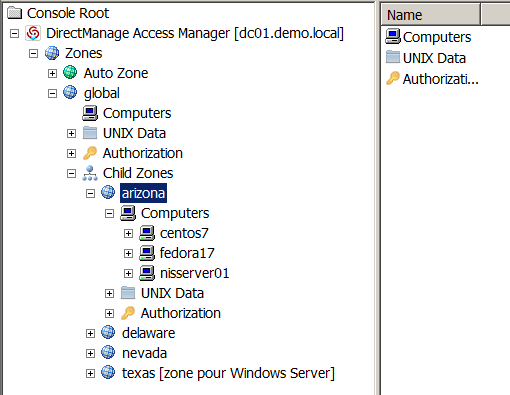 Intégration Unix & Linux dans Active Directory: Quelle type de zone Centrify utiliser ? 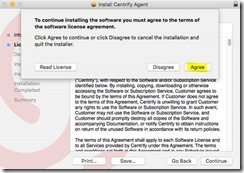 Dernièrement un client m’a demandé quel était le meilleur choix en termes de zones Centrify – quel type de zone doit on privilégier ? 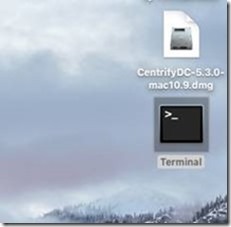 La question est intéressante, car la “zone Centrify” est un élément important d’un design d’intégration UNIX/Linux dans Active Directory. 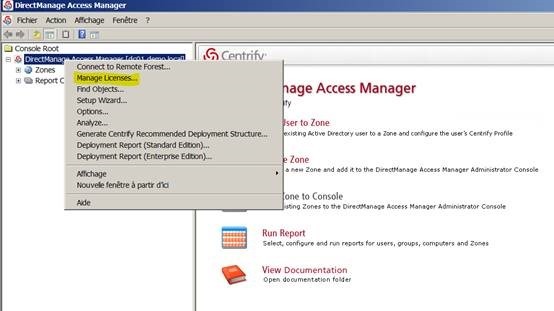 Les zones “Classic” (3)(4) représentent l’ancienne famille de zone Centrify, à cette époque, les zones étaient “à plat”, c’est à dire non-hiérarchiques – c’était déjà très bien, mais cela obligeait à reproduire toutes les configurations communes aux différentes zones dans chacune des zones, de façon individuel et donc sans gestion centralisée – beaucoup de clients utilisent encore ce modèle car ils n’ont pas migré vers le modèle hiérarchique. Les zones “Hierarchical” permettent d’avoir une arborescence de zones, avec un héritage descendant au niveau des profils POSIX. Cela permet notamment de définir une zone dite Parent avec l’ensemble des UIDs Corporate voulus et de définir des zones enfants avec uniquement les exceptions/différences par rapport aux profils POSIX définis dans la zone Parent. C’est donc bien évidement le meilleur choix, même dans le cas d’une architecture simpliste (dans ce cas on ne créera qu’une seule zone parent). 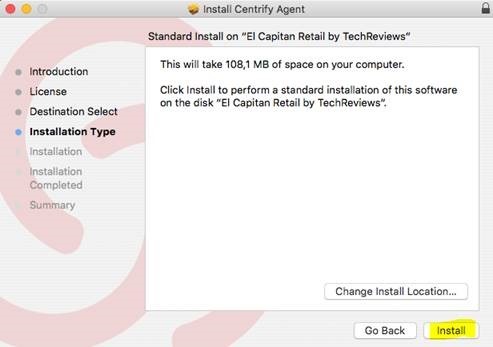 Avec la nouvelle version de Centrify Server Suite, le format de zone par défaut lorsque l’on créé une zone est le format: Hierarchical RFC 2307-compatible – l’avantage de ce format est que les attributs POSIX rattachés au ServiceConnectionPoint représentant le profil Unix de l’utilisateur dans la zone est “proprement” renseigné dans des attributs particuliers, permettant des requêtes LDAP facilitées et surtout une gestion par un outil IAM externe extrêmement simplifié. 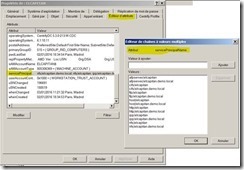 On voit ici par exemple que l’attribut POSIX uidNumber est un attribut à part entière dans l’annuaire Active Directory. Merci pour ce client, je n’avais jamais pensé faire un article sur ce sujet ! N’hésitez pas à me contacter pour plus précision. 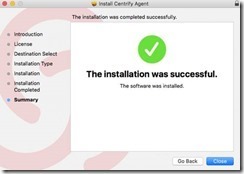 Installation de Centrify Workstation for Mac 2016 sur EL CAPITAN (OSX 10.11) [Part 3/4] – Quelques manipulations après l’installation de l’agent Centrify. 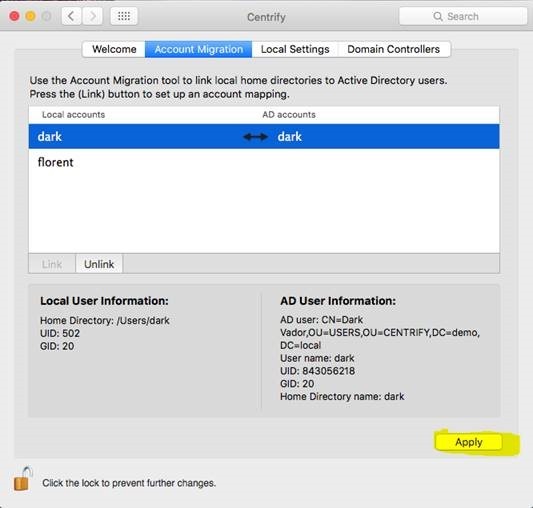 Lors de l’article précédent, nous avons installé l’agent Centrify sur une machine MacOS X afin que celle-ci bénéficie d’une véritable intégration à Active DIrectory – cad une intégration basée sur Kerberos et LDAP permettant également l’application de GPOs sur les systèmes MacOS, et non pas une intégration basée sur Samba. Nous allons maintenant faire quelques paramétrages supplémentaires dans la première partie de cet article, puis nous traiterons la gestion des comptes locaux existants avant la migration dans la deuxième partie de cet article. 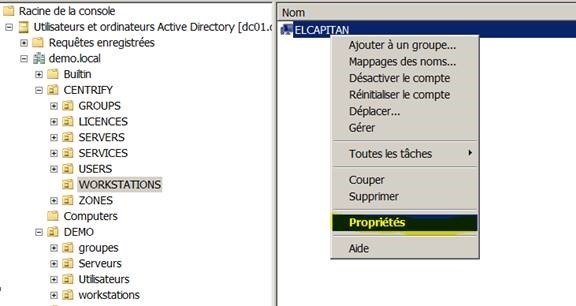 Pour information, il est possible que votre administrateur Active Directory est défini un autre conteneur par défaut, mais dans la plupart des cas, il s’agit du conteneur “computers”. 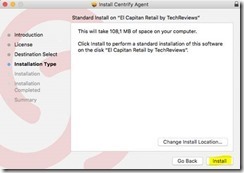 Vous pouvez parcourir les différents onglets afin d’avoir des informations sur le compte machine, la version de l’OS, la version de l’agent Centrify installée, etc. 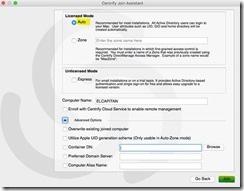 Il est également possible de vérifier le type de zone Centrify rejointe, dans notre exemple, nous avons choisi le mode AutoZone qui permet de s’affranchir de la gestion des UIDs et du contrôle d’accès. 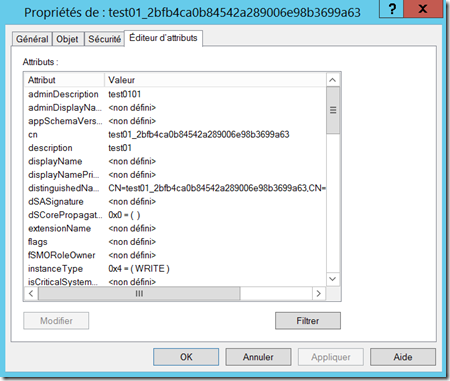 Dans ce mode, les UIDs sont générés automatiquement par un dérivé du SID utilisateur, les UIDs sont gérés localement par l’agent, il n’y a pas d’UIDs stockés coté Active Directory – ce mode est tout à fait particulier et convient uniquement aux workstations, et je dirais même uniquement aux workstations MacOS. 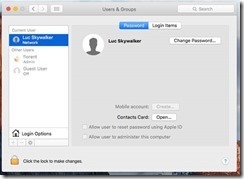 En utilisant ce mode, tous les utilisateurs Active Directory peuvent ouvrir une session sur le poste MacOS (à moins que localement sur le MacOS on est spécifié le contraire dans le gestionnaire de login des Paramètres Systèmes – ou encore – il est possible d’utiliser le fichier de configuration centrifydc.conf en jouant sur les attributs pam.allow.users et pam.allow.groups ), il n’y a pas besoin de de donner le droit de ‘login” sur la machine, ceci est automatique pour tous les comptes utilisateurs présents dans Active Directory. 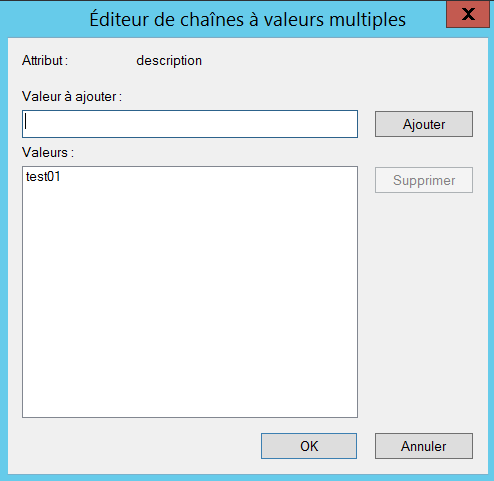 Nous allons maintenant aligner les deux comptes en mappant le compte local avec le compte Active Directory et ce sans perdre les propriétés locales du compte existant. 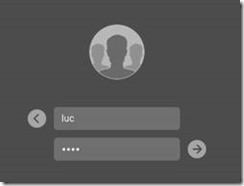 Ce message est normal, il indique simplement que l’agent va supprimer le compte local (en fait il supprime l’entrée de ce compte dans l’index provenant de la liste du pointeur des comptes locaux OS X), pas de panique, cette manipulation ne supprime le profil local de l’utilisateur situé dans /users/ – cela va seulement supprimer l’existence du compte utilisateur local tout en conservant les données inhérentes au profil qui est conservé. 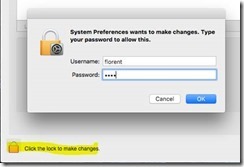 Un message peut apparaitre vous demandant de mettre à jour la “keychain” du mot de passe – il faut alors choisir “update keychain” et renseigner votre ancien mot de passe ou tout simplement recréer une « keychain » pour le nouveau mot de passe si vous ne vous souvenez plus de votre ancien mot de passe local. 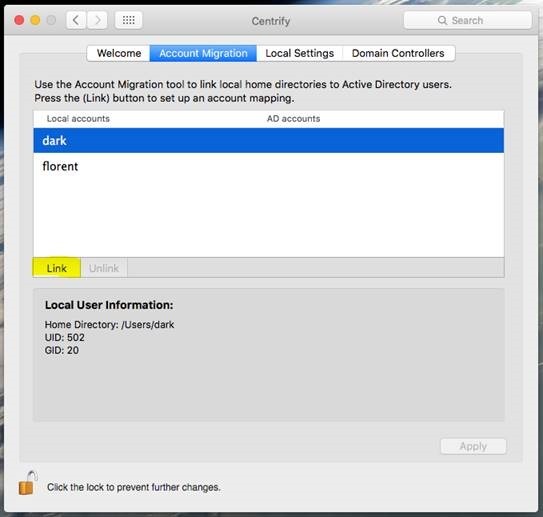 A ce stade, l’utilisateur “dark” est maintenant capable d’utiliser sa machine MacOS X exactement comme avant, avec son bureau, ses raccourcis, etc. 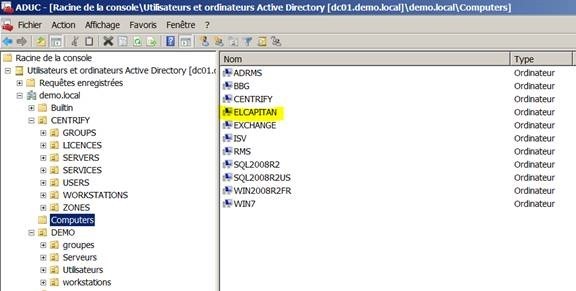 mais en bénéficiant de son compte Active Directory. 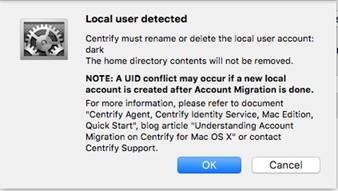 Dans le prochain et dernier article de cette série consacrée à MacOS X et Centrify, nous explorerons quelques possibilités en termes de GPOs Active Directory appliquées à MacOS X grâce aux technologies Centrify. 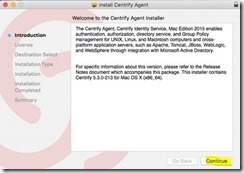 Installation de Centrify Workstation for Mac 2016 sur EL CAPITAN (MacOS X 10.11) [Part 2/4] – Installation de l’agent Centrify. Ça y est, tout va bien ! 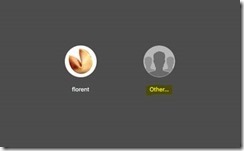 Indiquer les options pour rejoindre le domaine, vous pouvez garder toutes les options par défaut – pour des machines MacOS, je vous conseille de garder "Auto" pour le "Licensed Mode", cela vous permet de ne pas avoir à gérer les UIDs pour les comptes utilisateurs, par défaut dans ce mode, les UIDs générés dans la Zone Centrify seront un dérivé du SID utilisateur AD – vous pourrez ensuite aligner les UIDs générés dans cette zone avec les comptes utilisateurs existants au niveau de l’OS MacOS X via un outil fourni par centrify. 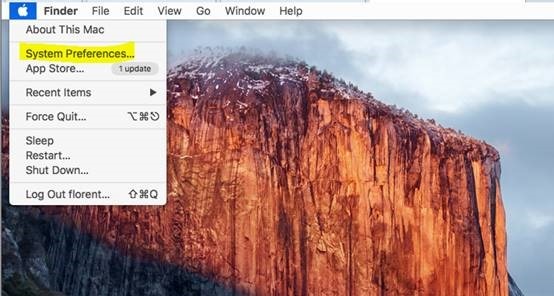 A noter que le premier ordinateur MacOS qui sera joint à AD avec le mode "Auto" va automatiquement créer la zone "Auto" au niveau de l’AD lui-même, contrairement aux systèmes Unix et Linux qui sont généralement joints dans des zones « standards », il n’y a pas besoin ici de créer la zone en amont de la première jointure au domaine. 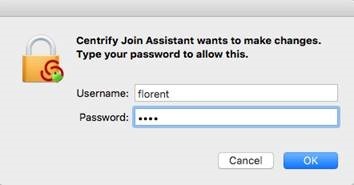 Sur la fenêtre de login du MacOS X, vosu trouverez par défaut les comptes locaux existants (ici Florent) – mais maintenant que vous avez joint la machine à AD, vous pourrez accéder à une liste d’utilisateurs provenant d’AD en cliquant sur "Other…"
Ça y est, c’est officiel, notre machine MacOS X EL CAPITAN a rejoint AD et peut utiliser tous les services AD. 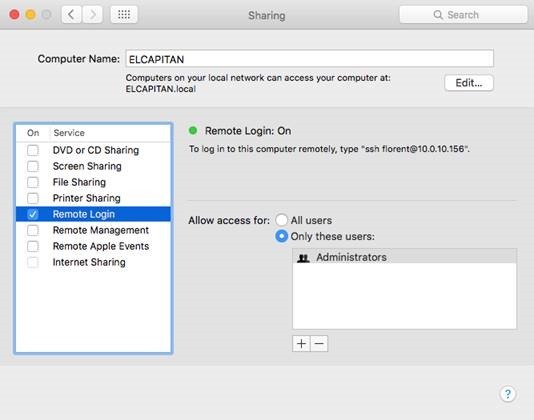 Dans les prochains articles, nous allons explorer quelques pistes d’améliorations du paramétrage de base, utiliser quelques outils d’administration et nous allons explorer les GPOs applicables aux systèmes MacOS X. 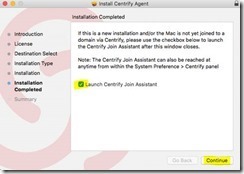 Installation de Centrify Workstation for Mac 2016 sur EL CAPITAN (MacOS X 10.11) [Part 1/4] – Préparation de l’environnement pour installation de l’agent Centrify. 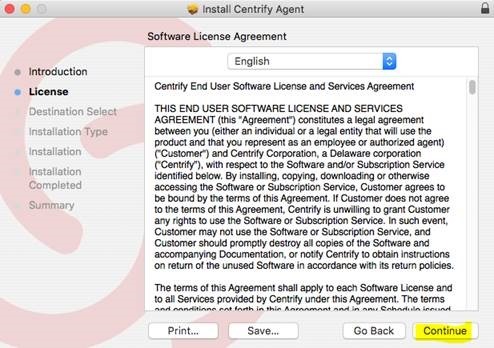 La version 2016 de la Centrify Workstation for Mac est sortie courant Décembre 2015. 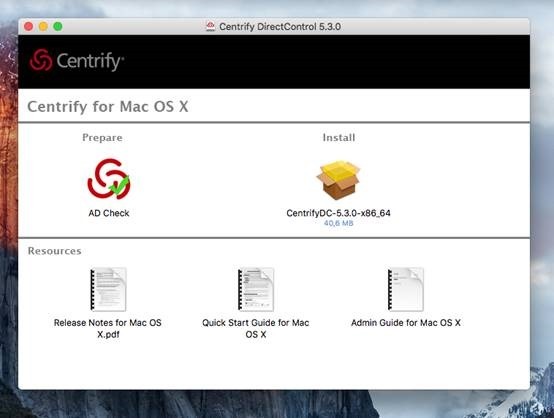 L’agent livré avec cette version (CentrifyDC-5.3.0-mac10.9.dmg) est directement compatible avec la version OSX 10.11 (EL CAPITAN). 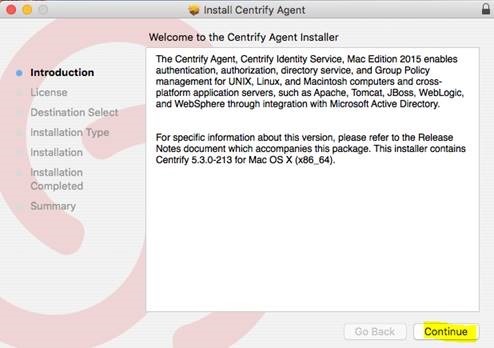 A noter, cette version de l’agent n’est plus compatible avec les versions 10.8.x d’OSX, pour supporter ces anciennes versions, il faut utiliser les agents fournis avec les anciennes versions de la Centrify Workstation for Mac (version 2015.1 ou version 2015 par exemple). Bien évidemment, sur ces UOs, il faudra que l’administrateur MacOS X est des droits d’administration suffisant, mais cela, c’est du design AD pur et dur. 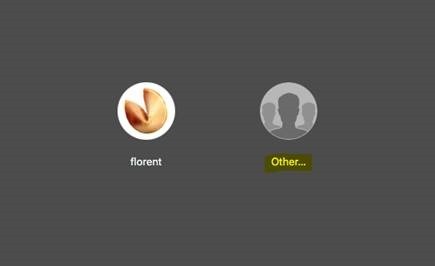 Puis renseigner la clé de licences dans l’onglet “Update” – Il faut bien saisir la clé avec les tirets. 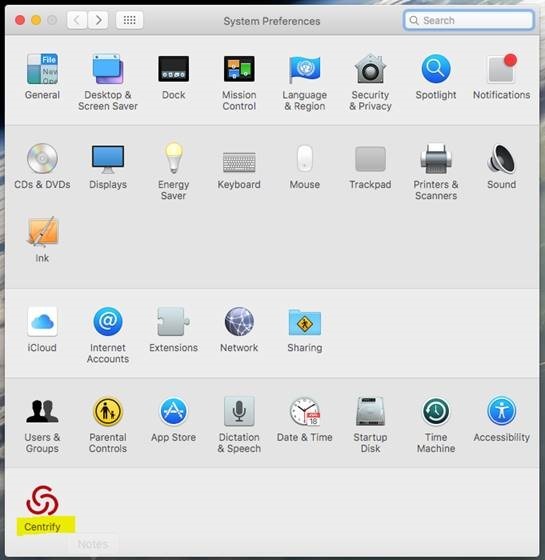 Une fois les licences validées vous devez avoir une entrée telle que : “Unix Workstation Licenses”. 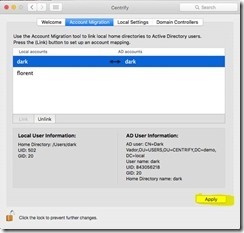 Renseigner les éléments réseau de manière à ce que le MacOS X soit compatible avec votre plan d’adressage IP réseau, renseigner les serveurs DNS qui adressent votre nom de domaine Active Directory. 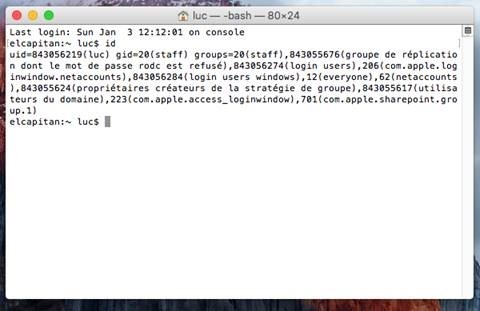 A ce stade, un membre des administrateurs du MacOS pourra se connecter en SSH pour notamment transférer l’agent sur la machine avant installation. 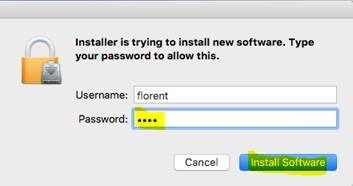 Une fois ces éléments préparés, nous allons maintenant passer à l’installation de l’agent côté Mac OS X dans le prochain article. 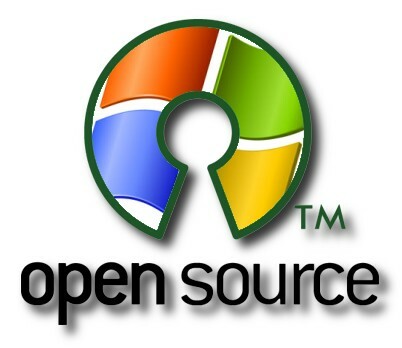 Microsoft créé une société spécialisée dans l’Open Source ! Microsoft vient d’annoncer la création d’une société indépendante de Microsoft (MSFT) nommée “Microsoft Open Technologies” dont l’objectif sera de créer et de promouvoir les technologies Open Source. Cette nouvelle société sera dirigée par un Français ! 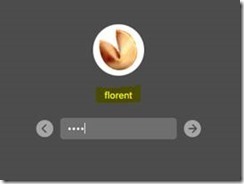 Jean Paoli (rien à voir avec Jean-Michel Paoli de Mafiosa…) sera en charge de gérer cette nouvelle société d’une petite centaine de personne – je ne sais pas ce que les référents OpenSource et Interopérabilité Microsoft des différents pays vont devenir, restent ils chez Microsoft (MSFT), leur contrat est il basculé vers cette nouvelle entité ? aucune idée, cela doit dépendre des problématiques de droit social de chaque pays. Il est clair pour moi que cette initiative marque une étape extrêmement importante dans l’engagement de Microsoft envers l’interopérabilité et vers le développement de solutions liant les technologies Microsoft et les technologies non-Microsoft. Le développement de cette nouvelle entité peut aussi passer par des rachats stratégiques de sociétés pure-player proposant des solutions logicielles pour lier les deux mondes (Centrify ? Jalasoft ?). Une étude extrêmement intéressante a été réalisée par Rodney Ruddock, consultant au sein de la société Interop Systems, qui est un cabinet d’expertise Américain spécialisé dans les études de marché techniques en ce concerne les problématiques d’interopérabilité. 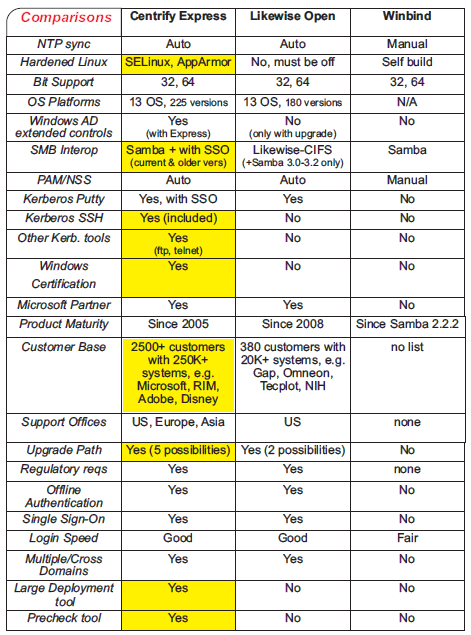 Cette excellente étude compare les différentes solutions logicielles gratuites permettant d’intégrer les systèmes Unix, Linux et Mac dans Active Directory, et qui permettent aux organisations d’utiliser Active Directory comme annuaire centralisant pour les authentifications des utilisateurs quel que soit le système utilisé. 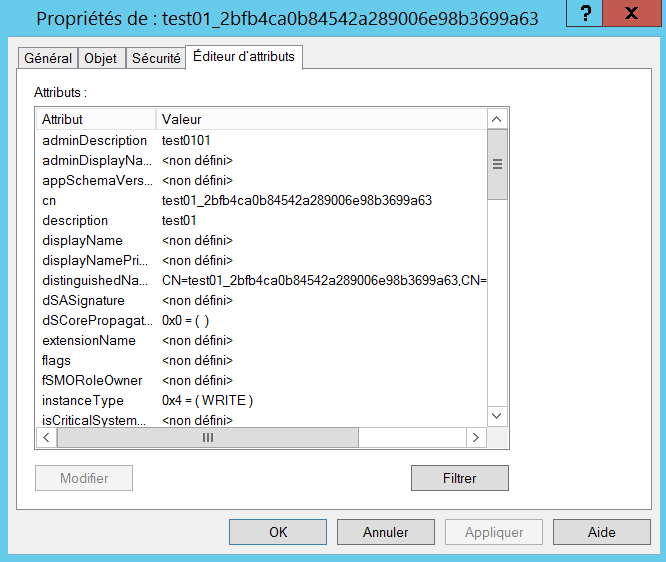 cette approche apportant de nombreux avantages tels que: unicité du nom utilisateur et du mot passe utilisateur sur l’ensemble des systèmes, centralisation des logs d’authentification sur les contrôleurs de domaine AD, stratégie de politique et de complexité de mot de passe unifiée sur l’ensemble des systèmes, etc. 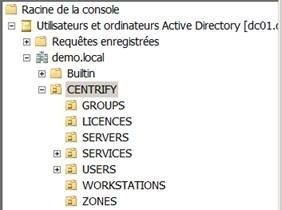 Rodney Ruddock préconisant donc Centrify Express comme la solution idéale pour l’intégration gratuite des environnements hétérogènes dans Active Directory.